The General explained that the squadron was temporarily short handed. One of the aces, Sir Reginald Lime Lime, had yet to show up, the other, Baron Von Lemon was off to the country visiting his aunt. That left it up to Orange. Crash Orange! 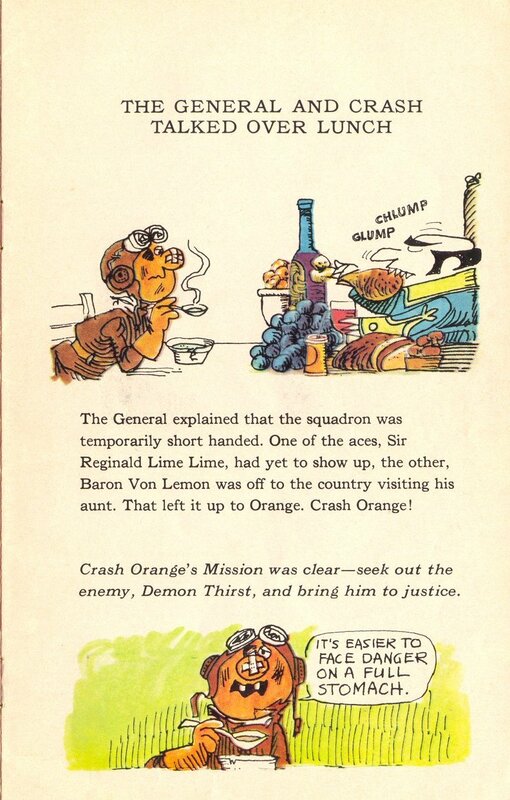 Crash Orange's Mission was clear-seek out the enemy, Dernon Thirst, and bring him to justice.